· Western Approaches: Responses to China from the Middle East and Central Asia. · Keskin Tugrul and Christian Braun. When a Sleeping Giant Wakes – A Neoclassical Realist Analysis of China’s Expanding Ties in the Middle East. Sociology of Islam 4 (2016) 1-26. · Lillian Craig Harris. China's Relations with the PLO. Journal of Palestine Studies, Vol. 7, No. 1 (Autumn, 1977), pp. 123-154. · Chaoling Feng. Embracing Interdependence: The Dynamics of China and the Middle East. Brookings Doha Center. Policy Briefing April 2015. · Stig Stenslie. China debates its future role in the Middle East. Noref expert Analysis – May 2014. · Mohammed Turki al-Sudairi. Israel-Sino Relations through the Prism of Advocacy Groups. Number 8: November 2013. · YORAM EVRON. Israel’s Response to China’s Rise A Dependent State’s Dilemma. Asian Survey, Vol. 56, Number 2, pp. 392–414. ISSN 0004-4687, electronic ISSN 1533-838X. © 2016. · Yiyi Chen. China’s Relationship with Israel, Opportunities and Challenges: Perspectives from China. Israel Studies, volume 17 number 3. · Aron Shai. China and Israel Relations and Future Prospects. ASPJ Africa & Francophonie - 2nd Quarter 2014. · Yoram Evron. China’s diplomatic initiatives in the Middle East: the quest for a great-power role in the region. International Relations 2017, Vol. 31(2) 125–144. Analytical Paper: In the first part of this assignment, you will select a topic related with China and the Middle East. You will write a proposal/abstract (at least 500 words) for your research, describing the contents of your paper and sources (books, articles and newspaper articles – this should include at least 10 different sources) and will send it to me by email on Sunday, the 5th week of the course. You need to email me your analytical paper and it should be in MS Word Document. In this step of your assignment, you need to demonstrate a clear focus (time and geography – very specific) and a CLEAR RESEARCH QUESTION! · Sino-Turkish Strategic Economic Relationship in New Era by Zhiqiang Zou. · John W. Garver. China and Iran: An Emerging Partnership Post- Sanctions. MEI Policy Focus 2016-3. Scott Harold and Alireza Nader. RAND, 2012. · YAO Kuangyi1. China-Arab States Cooperation Forum in the Last Decade. Journal of Middle Eastern and Islamic Studies (in Asia) Vol. 8, No. 4, 2014. · Guy Burton. Explaining Beijing’s Shift from Active to Passive Engagement in Relation to the Arab-Israeli Conflict. Sociology of Islam 4 (2016) 93-112. 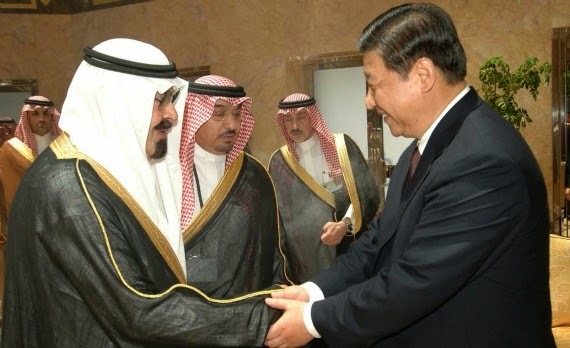 · China in the Eyes of the Saudi Media Mohammed Turki Al-Sudairi Gulf Research Center GULF PAPERS February 2013. · Degang Sun a & Yahia Zoubir. China's Response to the Revolts in the Arab World: A Case of Pragmatic Diplomacy. Mediterranean Politics, 2013. · China in Middle East: Shifting Role and Interests By PAN Guang. · Sean Foley. 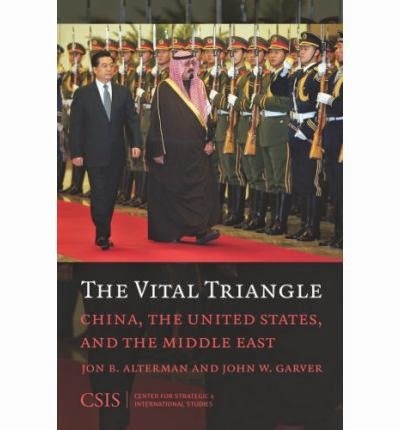 Seek Knowledge Even If It Takes You to China (Via Washington) Saudi Arabia and China in the Twenty-First Century. Sociology of Islam 4 (2016) 166-188.